He’s 25 years old this year, he’s blue, he’s spiky, he’d give Usain Bolt some decent competition. He’s the flagship character for one of the biggest names in the gaming industry, and in the 1990’s he had a bitter rivalry with an Italian plumber with an odd affection for mushrooms. His name is Sonic and he’s joining the LEGO multiverse. 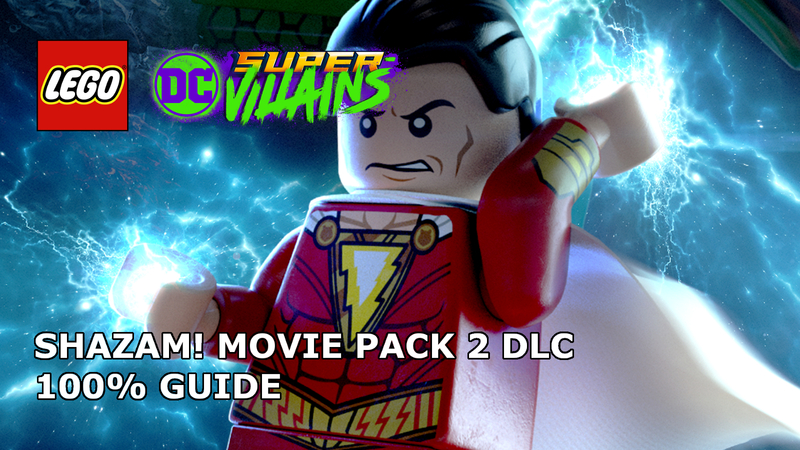 Now into the seventh wave of expansion packs, LEGO Dimensions has already resurrected some of the greatest movie and TV franchises from the last 30 years, with more coming over the next six months. One area, however, that hasn’t seen too much attention is the video game industry, yes the Midway Arcade brought back to life some 80’s classics, but that has been about it…until now. Probably the second biggest name in gaming history, sorry Sonic but Mario has you beat, the blue sneaker-wearing hedgehog went from strength to strength during the 8 and 16-bit console generations, even spawning a couple of TV shows in the process. Sadly, the jump to 3D has seen the once unstoppable speedster bounce between the mediocre and simply awful, with a number of games doing the once great icon very little justice. 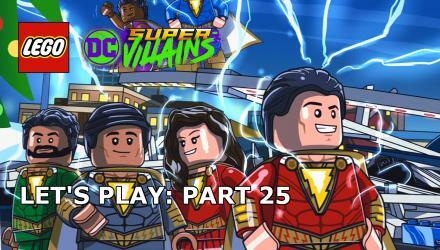 Now our hero has a new opportunity to shine in one of the most successful games of its generation, LEGO Dimensions. 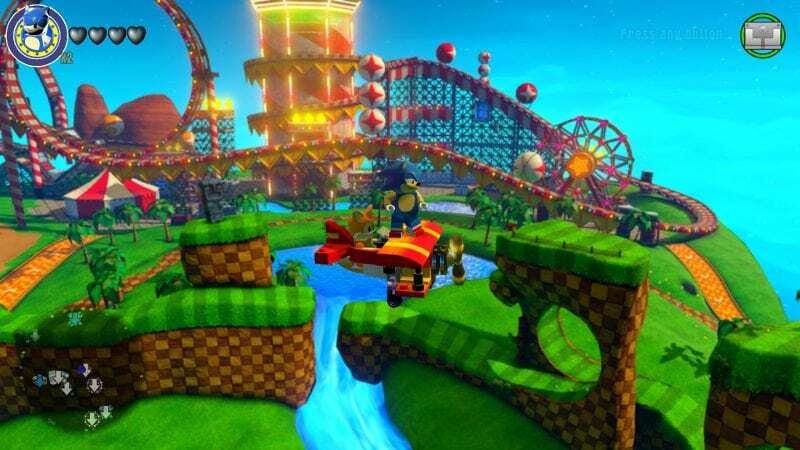 With TT Games’ impressive ability to turn nostalgia into gloriously bright and beautiful bricks, and with a touch of their own charm and wit, could this be Sonic’s chance to shine in the spotlight once more? Yes it can, because this level pack is one of the best yet. I was 8 years old when Sonic The Hedgehog made his debut and I can still remember to this day my first time switching on my SEGA Megadrive (Genesis in the US) and the greatest sound blared from my TV, “SEGA”, as Sonic himself flew across the screen. There’s a special place in my heart for that era of gaming, and so seeing what LEGO Dimensions had to offer the character couldn’t have been more exciting. Given the modern game’s 3D environment, was Sonic’s side-scrolling antics likely to be overlooked? Five seconds after I placed that character tag on the toy-plate, I knew I was in for a treat. Before I delve further into that side, though, let’s rewind and take a look at what comes in the box, the physical LEGO treats on offer. In the box you’ll find a Sonic minifigure, his very own sports car, the Sonic Speedster and Tails’ bi-plane The Tornado. Like many of the LEGO Dimensions minifigures, this is Sonic’s debut into the world of LEGO and as such his figure is another highly collectable exclusive. The legs piece is made up of three colours, red for his sneakers, white socks and his famous blue colouring. While detail is lacking on the torso, it’s not like he wears an elaborate outfit, it fits the characters perfectly with the light brown chest and arms, as well as white hands for his gloves. The back of the torso has a couple of additional touches with outlines for spikes and a small tail. The highlight of the figure is the custom-made head piece, it looks glorious, featuring every inch of detail from the characters source material. From the huge blue head spikes to the subtle side mouth outline, this is 100% classic Sonic. A yellow lifebuoy piece serves perfectly as the hedgehog’s accompanying gold ring. 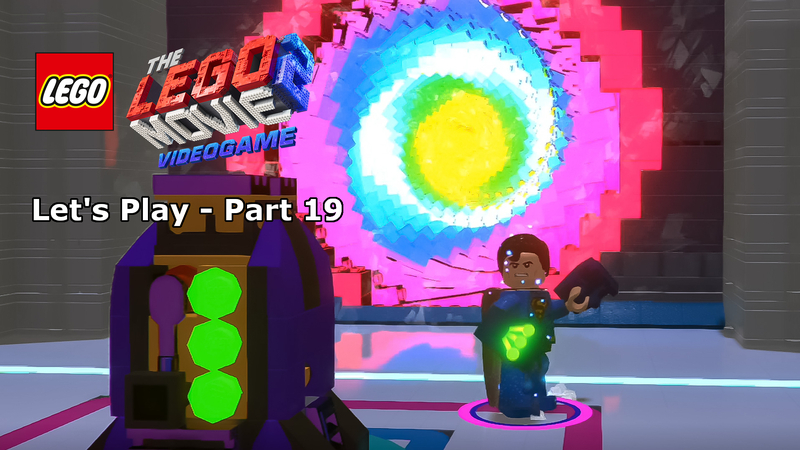 In-game the character isn’t filled to the brim with abilities like some of the other recent LEGO Dimensions releases, but his combination of skills are exactly what you’d expect. Obviously, his key skill is speed, this is Sonic after all, but he also has super-strength and can also grind rails and use the acrobatic poles and bounce off walls. Eventually, you’ll also have the ability to transform into Super Sonic, making the character invulnerable and increasing his ability to jump high. The Sonic Speedster is an awesome looking sports car in its own right, matching Sonic’s primary colours, being mostly blue with hints of red and white. This is a LEGO recreation of the car driven by Sonic in the Sega All-Stars Racing games. The most interesting thing about this vehicle over similar models is the pre-printed headlights and front bumper on the purpose-built bonnet of the vehicle, I’ve not seen that much detail appear on any of the other sports cars in LEGO Dimensions. In addition, the fins on the back look truly superb. Meant to look like Sonic’s spikes, they’re created using blue claw clips which are folded down. In-game, the vehicle doesn’t have too many uses in its default form, with the bulk standard generic abilities. Of course, it does have two additional configurations which can be unlocked in-game, both of which provide a bit more variety. The Blue Typhoon, for example, can fly, sonar smash and use flight docks and a cargo hook. The Moto Bug also adds to the available abilities with super jump, the ability to dig and cut through vines. The Tornado is officially one of my favourite micro-builds of LEGO Dimensions. Based on the plane flown by Sonic’s sidekick Tails in Sonic the Hedgehog 2, the mixture of red, yellow and black really make this vehicle stand out in your collection. Built entirely from standard bricks, the clever use of pieces you’d not expect to see make the build a fascinating experience on its own. The plane even includes a fully rotating propeller. In-game the Tornado has the same abilities are The Blue Typhoon minus the sonar smash, though with this vehicles the abilities are available out of the box. You can, of course, use your studs to unlock the other two configurations in-game, Crabmeat and Eggcatcher, the only real advantage of this coming from the former’s laser ability. So, as you’ll see, there are plenty of nods to Sonic’s history before you’ve even started playing the new franchise-exclusive level included, Sonic’s the name, speed’s my game! 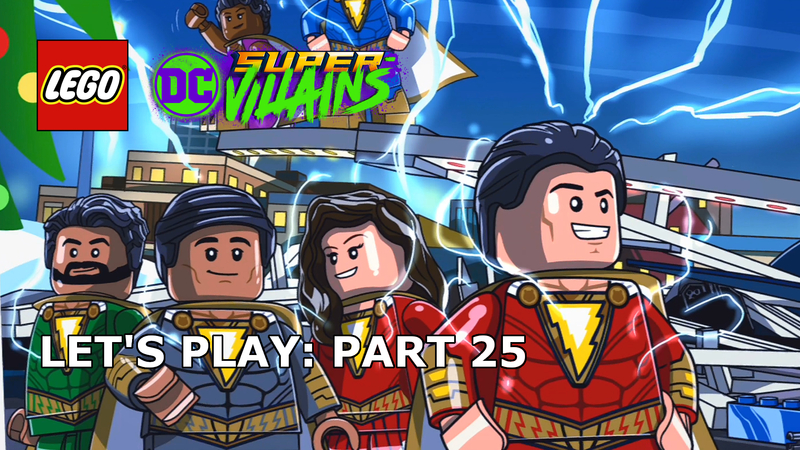 The story for this mini campaign is fairly standard for Sonic games, but with a LEGO Dimensions twist. Doctor Robotnik….sorry, Eggman, is using the chaos emeralds to power one of the LEGO multiverse’s keystones and open up dimensional portals. Our hero’s job is to obtain all of the emeralds before the evil Doctor, navigate the multiple dimensions (all of which seem to be based on old Sonic levels), and save the world, no pressure then. The level itself is impressively extensive given it is just the one level, with multiple locations, each with their own massive environments and unique puzzles. There are a good couple of hours of gameplay here if you’re not rushing through it at Sonic’s pace. Where the level really succeeds, is how it takes influences from across Sonic’s 25-year history, from the initial Green Hill Zone to the evil Doctor’s Space Station, including a battle with metal Sonic, this is a blue hedgehog fan’s dream. My personal highlight is the fantastic recreation of Sonic 2’s bonus levels, these serve as interim points between the different platform-based environments and brilliantly captures the fun and excitement of 90’s Sonic. 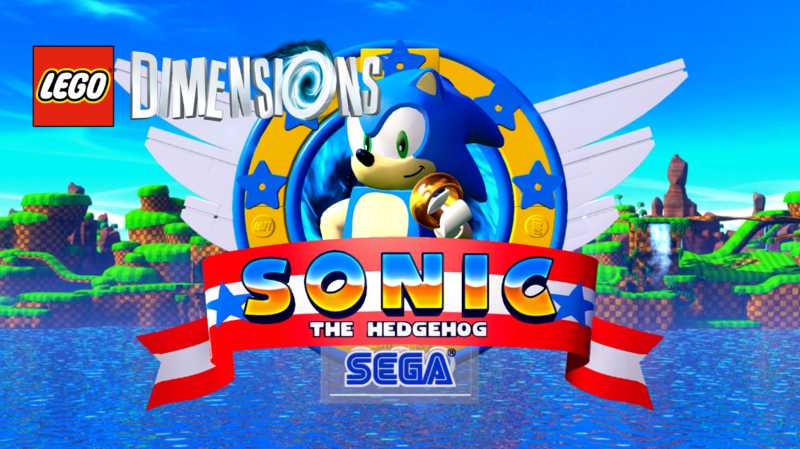 The gameplay across the level varies quite significantly thanks to the LEGO Dimensions elements thrown into Sonic’s world, after all, this is far from just a 3D recreation of Sonic’s greatest hits. In addition to the Sonic standard of running, jumping and spinning, there are vehicle specific features, including a brilliant aerial battle involving the Tornado. The one disappointment I found was the lack of original Sonic The Hedgehog soundtrack, a very good approximation is used, but you really can’t beat the original music when you’re trying to create an atmosphere of nostalgia. That said, there are a few further throwbacks with the audio, including one sound effect that many gamers will be familiar with when Sonic finds himself underwater in the Labyrinth. The franchise open-world hub is also unlocked with this expansion pack and it’s another joyous celebration of the character’s history with areas dedicated to the most infamous of the zones from the classic games. As is the standard in LEGO Dimensions, the world is filled with plenty of additional puzzles and collectables to keep you occupied for hours. Overall, the Sonic the hedgehog level pack is a work of art, a stunning homage to one of gaming history’s best. The level provides plenty of varied gameplay and enough nods to the original 90’s series to please even the most avid fans. The minifigure and accompanying vehicles are a joy to construct and will stand out in the crowd as your LEGO Dimensions collection continues to grow. Despite the character not adding too much value in terms of new abilities, the gaming gravitas of Sonic means he’ll always be a great addition to the team, whatever adventure you’re on. Everything about this pack is a beautiful celebration of Sonic’s lengthy history. The level is packed with nods to the classics and provides an impressively lengthy experience involving multiple huge environments and even a couple of bonus levels thrown in for good measure. 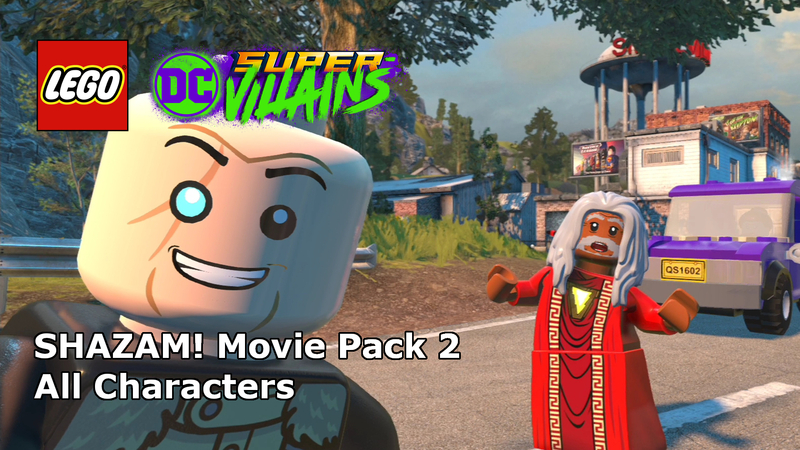 This expansion pack is, by far, one of LEGO Dimensions best and worthy of any fans attention.